The link to the previous pAsuram and this one is established through the phrase “un bhOgam nanRO enai ozhindha nAL”. 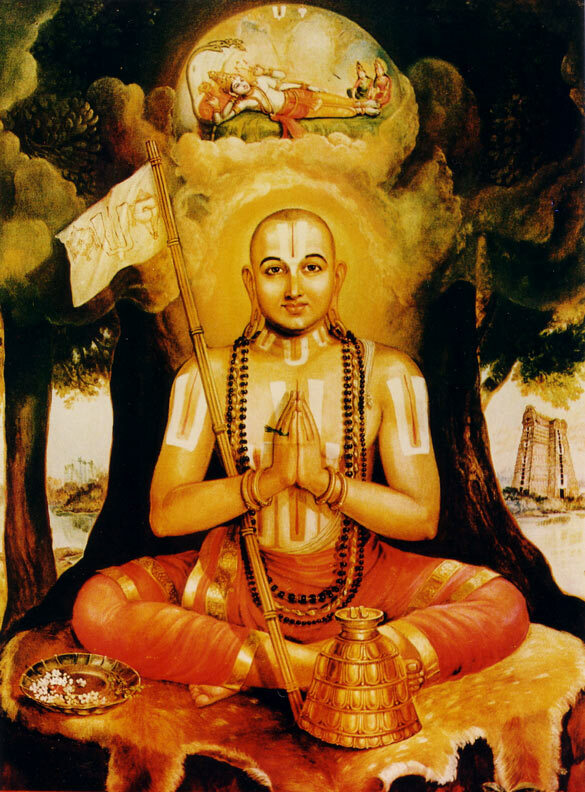 In the earlier pAsuram, maNavALa mAmunigaL asked SrI rAmAnuja as to whether he would be able to enjoy the luxuries in paramapadham while in fact he (maNavALa mAmunigaL ) is suffering here in this materialistic earth. Hearing this, maNavALa mAmunigaL assumes that srI rAmAnuja gave a reply to it. The reply is “Hey! maNavALa mAmunigaL ! Why do you point fingers at me and say I am enjoying the benefits without you at paramapadham. I will take you to paramapadham one day when your deserved time comes. Till that time, continue to develop your mental maturity and spiritual journey. When the appropriate time comes, I will take you”. maNavALa mAmunigaL , in this pAsuram gives an answer to this situation posed by SrI rAmAnuja. He says “svAmi. The fact that you told now may be applicable for “anukUlar” (those who stand by the way of established protocols that are conducive to his journey towards liberation; they support other fellow anukUlar). But adiyen is opposite of “anukUlar”, as adiyen is “prathikUlar” (those who does not stand by or abide by the established protocols that are conducive to one’s spiritual journey towards liberation; they do not support other anukUlar). For a prathikUlar of my degree, even if a split second passes, the amount of “prathikUlam” will only multiply, if any. Hence, I ask you SrI rAmAnuja to get rid of my body that is the feeding ground of all ill qualities that one can possibly imagine”. In this pAsuram, maNavALa mAmunigaL asks SrI rAmAnuja to destroy his body that is the source of the cruelest sins in the world. He gives an analogy of a neem tree. The bitterness of a neem tree grows even further as time progresses. Similarly, maNavALa mAmunigaL says that the sins that are caused by his body continues to grow manifold. Thereupon, he urges SrI rAmAnuja to destroy his body immediately by thinking of the most appropriate way to do so. maNavALa mAmunigaL tells SrI rAmAnuja, “Oh!!! yathirAja!!! The leader of sanyAsis!!! A sugarcane which is inherently very sweet in nature, becomes sweeter with each passing day. Similarly, a neem tree that is inherently bitter in taste becomes even more bitter with each passing day. In the same manner, my body that is the dwelling place of the cruelest sins in the word, continues to accrue more sins as time progresses. I am the epitome of inferior qualities that is the source of these sins. Hence, adiyEn requests you to act now before it is too late. adiyEn requests you to think of a way to destroy this body of mine that houses nothing but inferior qualities. This entry was posted in Arththi prabandham, Other and tagged arththiprabandham, mamunigal, ramanuja on June 19, 2016 by santhanam rajagopalan.